Have you heard of the Weeping Woman yet? This Mexican Folklore is about to hit the big screen and I am so happy for it. Check out this trailer reaction video and let me know if you are interested in watching this James Wan movie when it releases this April. Also, try to listen for all the CROWS in my backyard. There were about 25 of them right outside my window. So CRAZY. Subscribe to the Zombies are Real podcast. 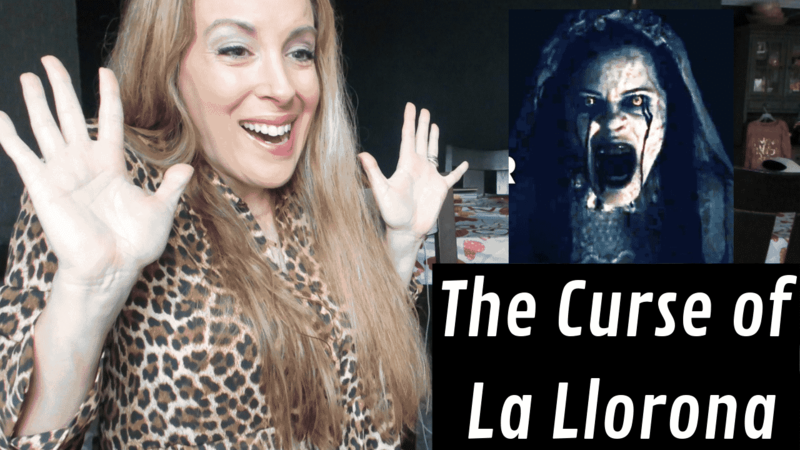 The Curse of La Llorona Movie Synopsis: In 1970s Los Angeles, the legendary ghost La Llorona is stalking the night — and the children. Ignoring the eerie warning of a troubled mother, a social worker and her own kids are drawn into a frightening supernatural realm. Their only hope of surviving La Llorona’s deadly wrath is a disillusioned priest who practices mysticism to keep evil at bay. The legend is said that in a rural village there lived a young woman named Maria. One day, an extremely wealthy nobleman traveled through her village and ended up proposing to Maria. Maria’s family was thrilled that she was marrying into a wealthy family, but the nobleman’s father was extremely disappointed that his son was marrying into poverty. Maria and her new husband built a house in the village to be away from his disapproving father. Eventually, she gave birth to two boys. Her husband was always traveling and stopped spending time with his family. Maria, angry and hurt, took her sons to a river and drowned them in a blind rage. She realized what she had done and searched for them, but the river had already carried them away. Days later, she was found dead on the river bank. YIKES!! I just love looking up to see where the foundations for horror movies come from!!!! I actually am looking forward to the Curse of La Llorona. Movie releases April 19th.